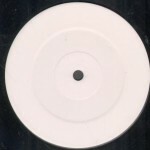 A highly limited number of test presses for the next release are available to buy in the shop now! Be amongst the first to play the new Jahfa Culture/Dairy Dub/Idavid record on vinyl! Full release due out next month! UPDATE: Test Press sold out, commercial release is out!